Hello! Did you miss me? 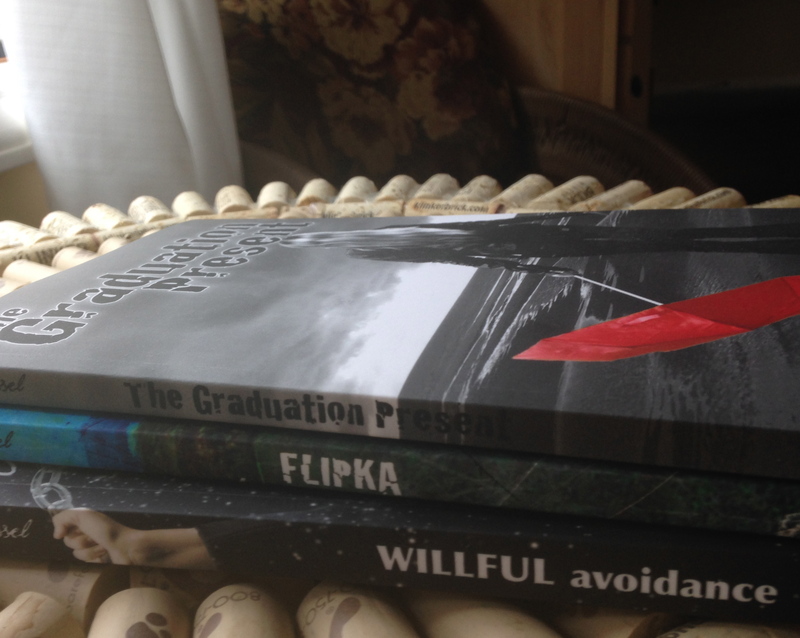 This has been a very busy October for me and shows no sign of letting up soon. So I’ve decided in honor of the season, to repost a Halloween story from a few years back. 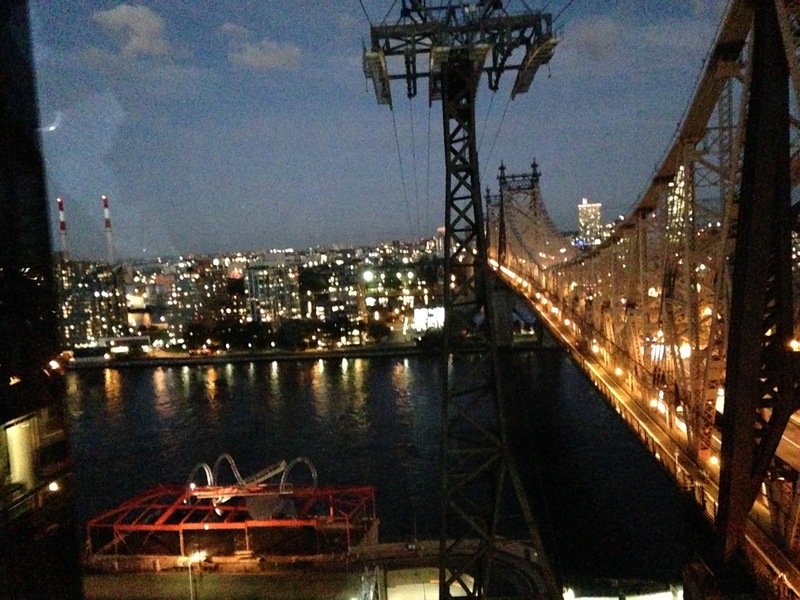 This story was inspired by a trip we made to Roosevelt Island in October 2015. Over 13,000 men, women and children died between 1856 and 1875 at this place now known as Renwick Ruin. For a vast majority of the dead, this would be their only home in America, having been quarantined there for small pox just after their arrival in New York City. What a welcome. View from Roosevelt Island, which has been known through the years as Blackwell’s Island and Welfare Island. 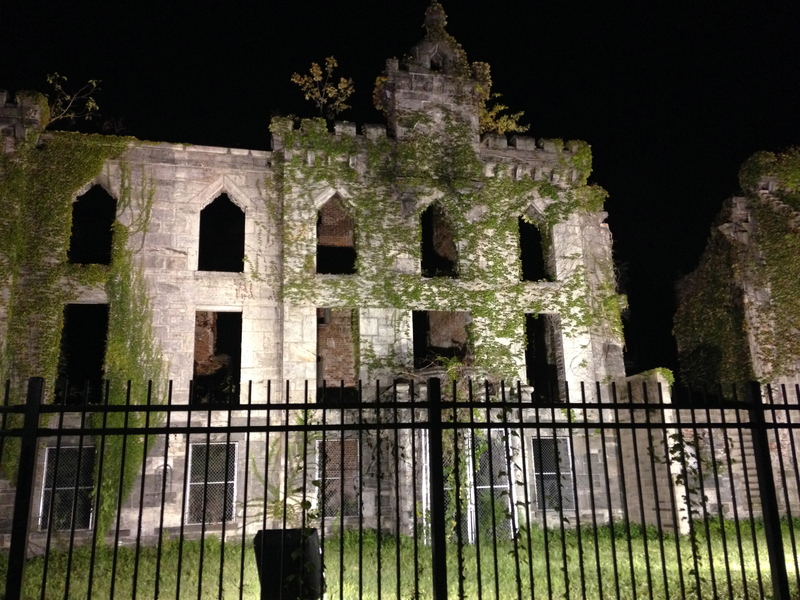 The island Renwick Ruin sits upon once belonged to the Blackwells, a prominent NYC family in the 1800s. Apparently they fell on hard times and had to sell the land to the state which then proceeded to build, in this order, a prison, a lunatic asylum and Renwick Small Pox Hospital. They built the hospital using convicts and lunatics for manual labor and, legend has it, later employed these same convicts and lunatics to watch after the small pox patients. In 1875 it became a “maternity and charity training” hospital and the island became known as Welfare Island. Click here for more information about this ghostly island. 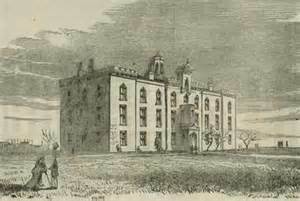 Renwick Small Pox Hospital, named for the architect, James Renwick. Today a four acre memorial to Franklin Delano Roosevelt sits just beyond Renwick Ruin which seems oddly appropriate. He was probably the one president who would have understood their suffering. 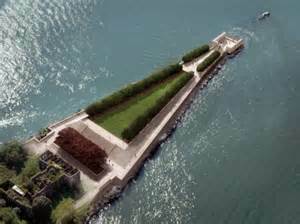 Four Freedoms Park – memorial to FDR from the air. You can see Renwick Ruin on the far lower left. Although the Ruin and nearby lunatic asylum (the Octagon) are said to be amongst the most haunted places in the world, many young professionals are anxious to make the island their home. Heading towards Roosevelt island on the gondola from Lexington Street. Not a bad commute! Can you imagine taking a group of overly imaginative Brownies to an abandoned asylum for a weekend retreat? Especially in late October? Well, in my younger and dumber days, that’s exactly what I did. Below is my story. Another shot of Renwick Ruin. One dark and stormy night long ago I was behind the wheel of my husband’s brand new Saab turbo with three giddy girls fidgeting in the back and one in the front when the song “Sympathy for the Devil” came on the radio. Quickly I turned the damn thing off. 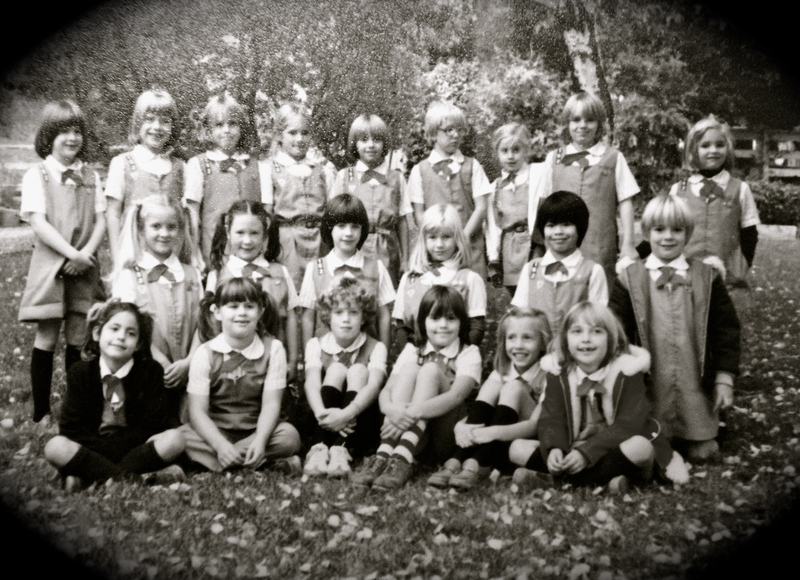 Last known picture of Brownie Troop 93! The plan had been to leave right after school when it was still light but one little girl had piano lessons and another forgot crucial-to-her-survival allergy medicine and since both were the daughters of women who signed up to chaperone, the Brownie Leader and I (her assistant) were forced to grin and bear it. As you all probably know, getting parents to sign up for a weekend camping trip with their girls requires an act of God. Especially for us. Our campouts were known disasters. Many thanks to the Boweryboyshistory.com for their fascinating behind the scenes stories about NYC and its environs. This entry was posted in Halloween, Posts and tagged Arequipa Tubercular Hospital, asylums, Brownies in peril, haunted places, lunatic asylums, October, Renwick Ruin, Roosevelt Island. Bookmark the permalink. I just read this on your site. Roosevelt Island. Fascinating! As you know, I couldn’t click into goodies. (This will ease up with time.) Your writing illuminates the story. And in addition, you have the best stories! There you are with the brownies, sopping. Yes, yes, I want to hear more. The computer gunk got worse and worse yesterday, but I have good reason to be hopeful the luck has turned (knock on wood). I’m ready. I can’t wait for the rest. Besides, its that time of year, almost Halloween. Yup – it’s coming up on us soon! Are you ready?? Most certainly! The story’s off to a great start! Many thanks Mary! Do you have some spooky stories to tell? Well, we might have the ghost of our cat in the house, but if so, he’s friendly 🙂 I’d rather read about the Renwick Ruin, and those poor Brownies and their leader. Having been a Brownie leader for a few years, I can relate to that part! Yes, please. Bring on more of the dire tale of doom. I’m sure I have some pics of Renwick Ruin as well. I remember seeing it on the cruise I took on my trip to NYC a few years ago. Great! I’d love to see them. this was an enjoyable post. 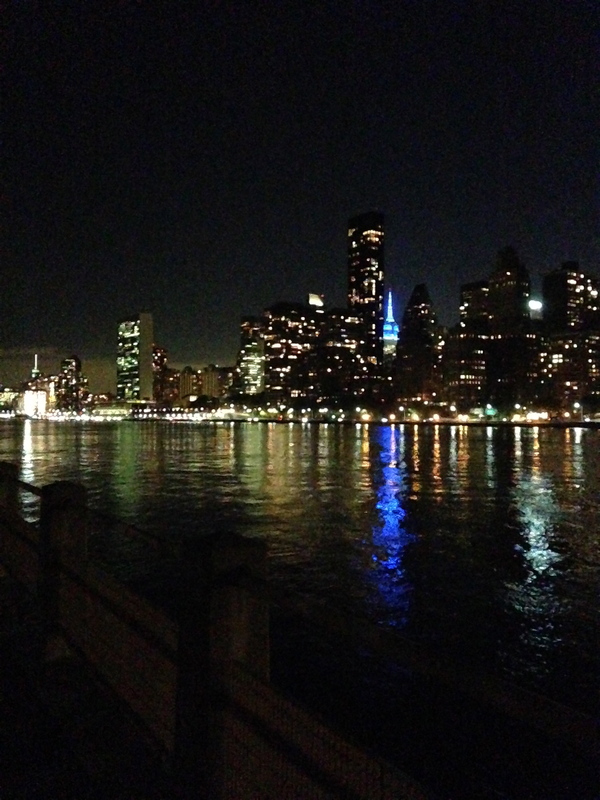 I’ve walked around Roosevelt Island a few times while visiting New York. I think I need to go back. The think I remember is how quiet the island is compared to the streets leading up to the Tram Station. I love the pictures and the history. Thanks Dan. Unfortunately we got there too late to see the rest of the island but the gondola ride and seeing Renwick Ruin were the highlight of our trip! I would love to hear more of this. But of course we need more. Please don’t leave us hanging …. Definitely! More on this Brownie night of terror story! Being a Brownie leader is terrifying enough (I was also a Daisy troop leader, and I called them my “wild daisies”). Fascinating history, too. Creepy. Fascinating and so sad. I bet your wild daisies were a hoot! Yes please, more please. You can’t leave us hanging there wanting to know what was the other side of the bridge. Besides, this seems like the makings of a great Halloween ghost story. Great story! Give us more! Oh Jan, I remember this story and glad to reread it. Take all the time you need. I too am off for a couple of weeks. I understand ‘busy’. Thanks Inese – have a great time off! Look at those brave little souls! If only they knew what lay ahead!